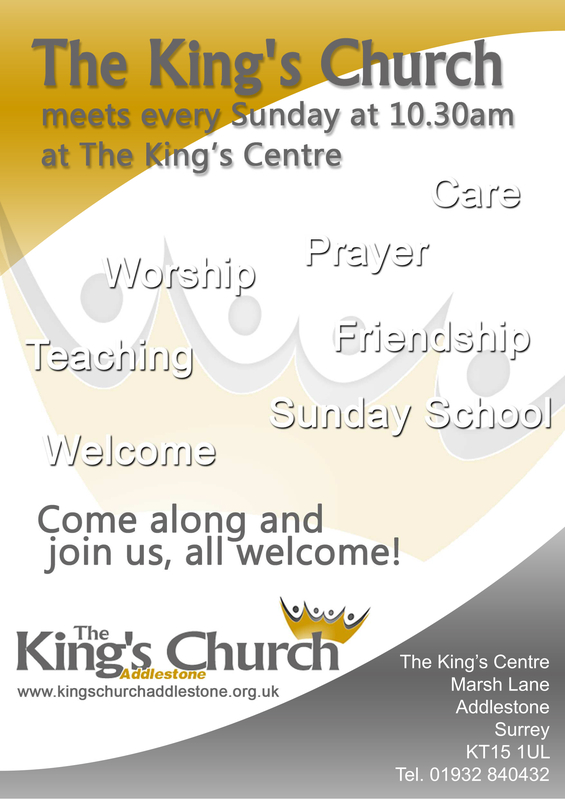 The King’s Centre is the home of The King’s Church which has been a part of Addlestone since 1917. The church is a lively and welcoming community of people who’s lives have been changed by encountering Jesus. Our main worship meeting is on a Sunday morning at 10:30 and you are very welcome to join us.